This book discusses critical findings about the significance of Stevia rebaudiana, a natural calorie free sweetener and ways to incorporate it in our diet. Stevia is a plant used in the food industry as a sweetener but empirically used for the treatment of diabetes. Scientific literature has reported anticariogenic, antineoplastic, antihypertensive, anti-inflammatory and anti-hyperglycemic effects. It is important to people in developed countries, and designed for product developers, nutritionists, dieticians, and regulatory agencies. This book explores a range of topics related to this plant and their components as stevioside, rebaudiose, dulcoside, etc. The chapters in this volume provide a survey of chemical composition, functional properties, the impact on human health, but also the opportunities for Stevia as ingredient to be incorporated into foods for the benefit of consumers. The contributors to this volume provide valuable information about Stevia rebaudiana, not only used as sweetener. The biological potential and health implications of consumers are presented in this book. Audience: In important to people in developed countries, designed for product developers, nutritionists, dieticians, and regulatory agencies. The book explores a range of topics related to this plant and their components as stevioside, rebaudiose, dulcoside, etc. 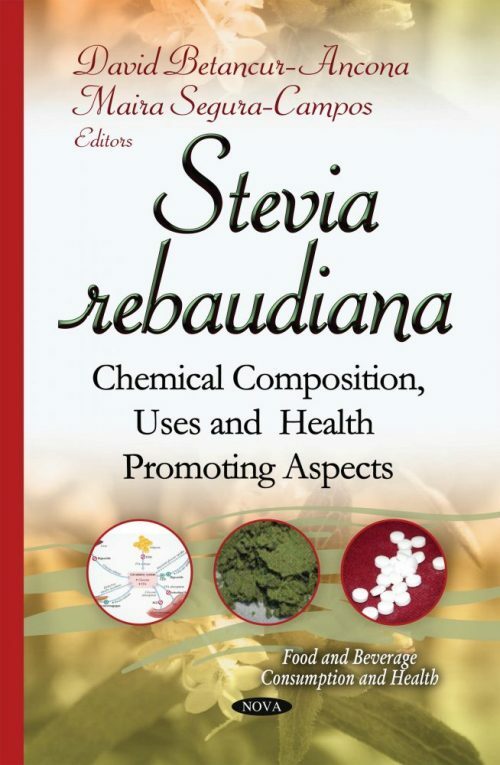 The chapters to this volume provide a survey of chemical composition, functional properties, the impact on human health, but also the opportunities for Stevia as ingredient to be incorporated into foods for the benefit of consumers.